Hamsa jewelry pieces are a big part of Moroccan history and Moroccan culture, which is also the case for most Hamsa symbols. 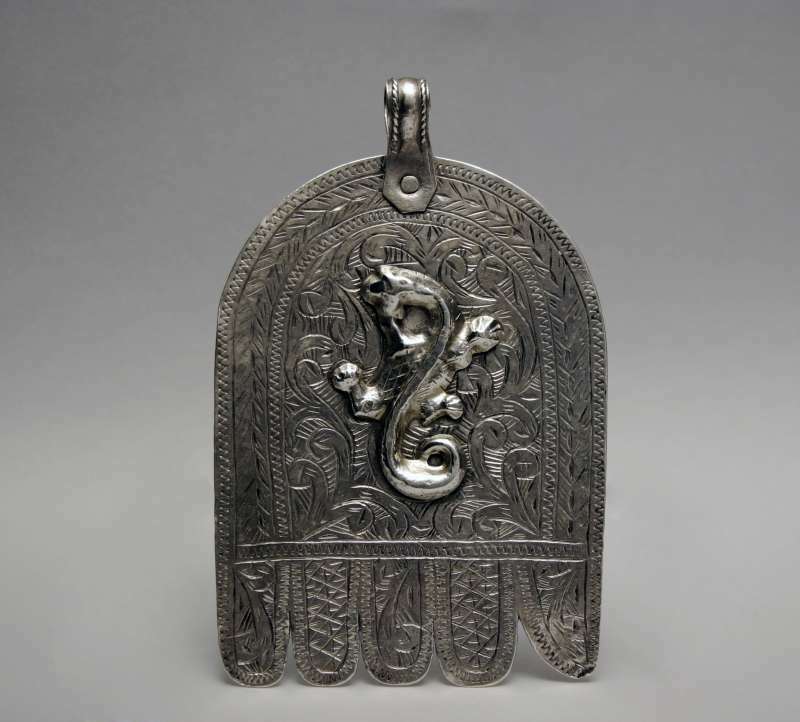 In fact, in Morocco, the Hamsa was, and is still, widely and generously incorporated in jewelry, deco, and fashion. The popularity of the Hamsa in Moroccan culture is similar to its popularity in the Jewish culture. Which is not a coincidence. 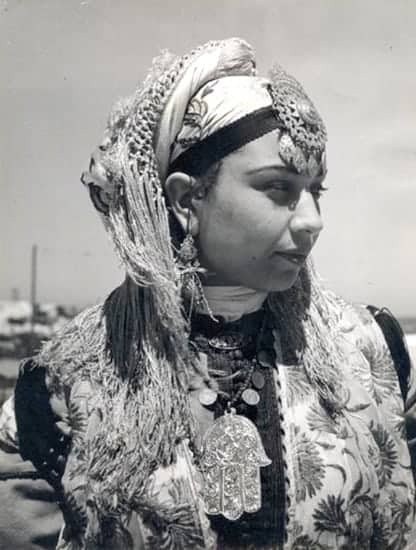 In fact, many Jews are of Moroccan origins as they used to live in Morocco. 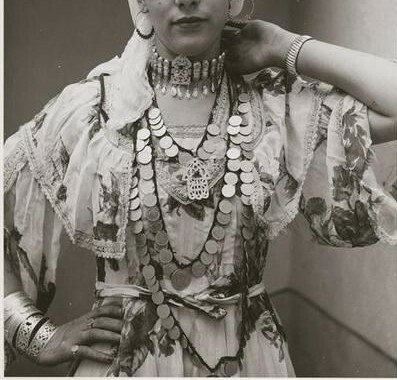 Moroccan Jews had the same lifestyle as Moroccan Muslims, and many of them were jewelry artisans, keeping their craftsmanship in their family for generations. They developed a real savoir-faire which is, luckily, still perpetuated by many Jew artisans all around the world. 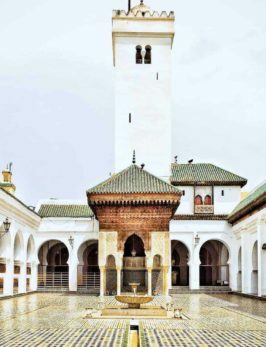 Jews and Muslims had a very entwined history in Morocco, till the 1960s, when hundreds of thousands of them departed to Israel. Hamsa necklaces, Hamsa bracelets, and Hamsa jewelry, in general, are believed to protect from misfortunes and the evil eye. 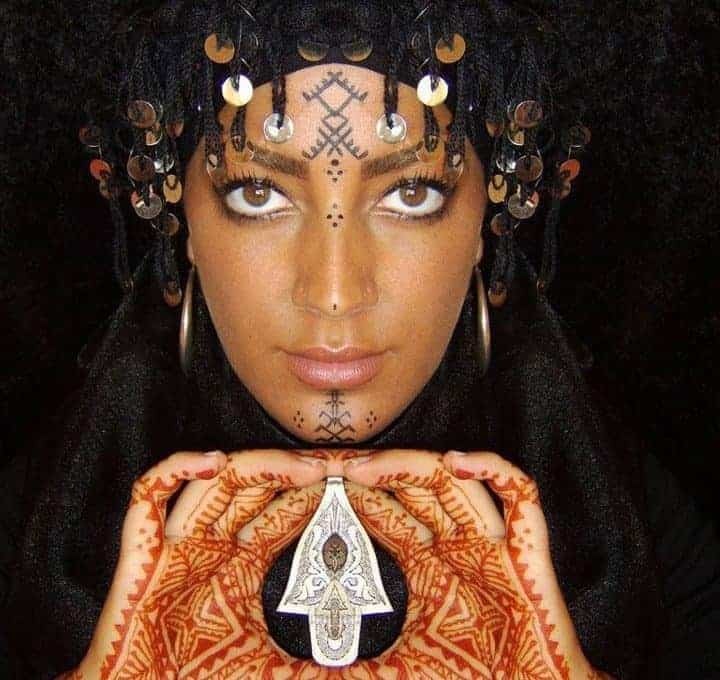 In Morocco, most Moroccan women have at least one Hamsa jewelry piece, if not many. The big old designs of the last centuries are now replaced by more delicate and elegant pieces, to be easily associated with any modern outfit. Hamsa necklaces, bracelets and pendants are now very trendy as many celebrities started wearing them. Their mystical background and engravings makes them an interesting piece of jewelry to have. Even if I go to Morocco quite regularly, I mostly shop my Hamsa jewelry and other Morocco-inspired jewelry online. 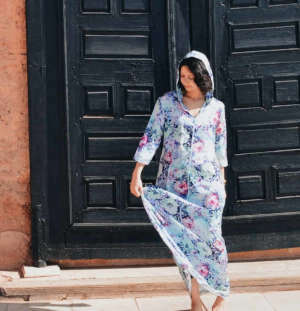 If you know what to look for (which we will cover in this post), you can find the same Moroccan designs and quality online, all for the same price you would pay if you were making your purchase in Morocco. Sometimes, it can even be better to buy your Hamsa jewelry online. 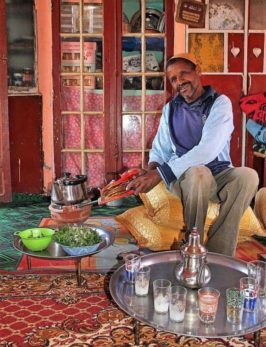 In fact, buying online could save you a lot of headaches, especially if you are not familiar with Moroccan markets. 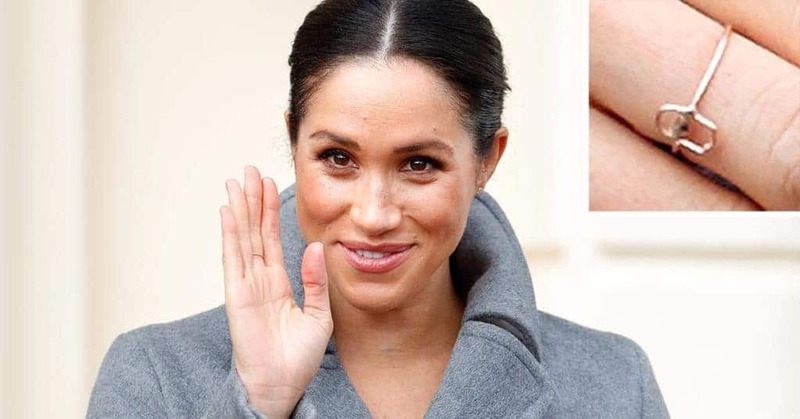 Because Hamsa jewelry is now trendy, more and more luxury brands became found of this lucky Hamsa charm, including it in many of their creations. Like this Chopard Hamsa necklace available in Sears and Saks Fifth Avenue … for thousands of dollars! Sometimes the price can be justified when the Hamsa jewelry piece is made with precious materials, like gold and diamonds. But sometimes, the price is unreasonably high and you just pay the brand name. Luckily, you don’t have to ruin yourself to acquire Hamsa necklaces and other Hamsa jewelry pieces. If you look thoroughly, you can find beautiful and durable Hamsa jewelry pieces for a really reasonable price. I will try to share with you as we go some of my findings. I hope they are still in stock by the time you consult them. If that’s not the case, just try to look for similar pieces following the different points we will cover. Hamsa jewelry price tag will mostly depend on whether the jewelry piece was handmade or not, the materials used, its weight, and the brand you are purchasing from. Hamsa Necklaces & Other Hamsa Jewelry: Handmade or not Handmade? Let’s start by saying that it is really hard to check that a piece of jewelry was handmade or not, given the fact that we all agree on what handmade means. 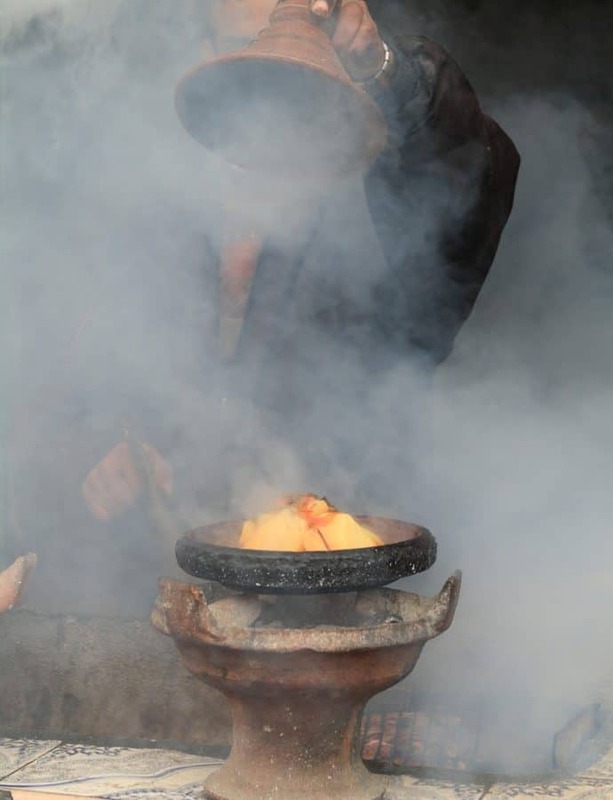 Some artisans still create Hamsa jewelry pieces from scratch, even etching the design manually. Which can take days, sometimes weeks and even months. Others will use molds to create the piece of jewelry or buy from wholesalers who use molds. So it’s really hard to know, even in Morocco. 100% handmade Hamsa jewelry pieces will be hard to find, hard to check, and the price will be very expensive. I personally don’t check this point as you can never be in control. I just make sure the Hamsa jewelry piece I want to purchase has an elegant engraving, and that the quality is top-notch. With all the marketing lies and blurring, I don’t want to commit to the price of a handmade piece of jewelry unless I see the artisan making it in his shop. The most important thing to check is the material the Hamsa jewelry is made of. While Hamsa jewelry pieces made with alloy will, in general, be the most affordable, there are, however, other compositions offering a good quality-price compromise. In fact, with 925 silver sterling jewelry, the price of your jewelry piece will still be reasonable (around 30$) and you will be guaranteed that your Hamsa jewelry will be very durable. 925 Silver sterling is a long-lasting material that doesn’t rust, so it is a very good long term investment. It can even be passed through generations. My mother has some Moroccan silver bracelets that belonged to her grandmother. How sweet is that? Just make sure you are dealing with real sterling silver, and not a mix. This silver Hamsa necklace and these silver Hamsa earrings are one of my favorites. Both delicate with a beautiful engraving and a price tag that is similar to what you would get in Morocco. If you have a little higher budget (between 30$ and 100$), you can look for gold plated hamsa jewelry pieces. Personally, I prefer the ones made with sterling silver and plated with gold. That way, the piece of jewelry will have a better value. This beautiful gold plated Hamsa necklace would be a great pick. If you are looking for a fancy jewelry piece for yourself or to gift, gold Hamsa jewelry will probably be a good choice. You can even find jewelry pieces with diamonds and other precious stones. Prices can get really high, the sky is the limit as we say. This beautifully engraved gold Hamsa necklace is a really good entry product. I will be visiting Morocco in July with my mother who was raised there and married a United States Marine, my father will be coming also. I wear a Hamsa everyday and I have multiple pendants. I enjoy reading you blog and appreciate what you have said. I am looking forward to the Medina’s and the food as well as the culture and visiting the Jewish areas where my mom would go. Being a jew, I grew up with hamsa jewelry. My mother gifted me a hamsa necklace when I was 4 years old … it was my first piece of jewelry and I still have it! I keep it in my valuables box and I will try to pass it on to my daughter. I was looking for a beautiful and affordable hamsa necklace and I love the one you recommended! Thank you!